It’s not really a debate as much as it is a general wondering. 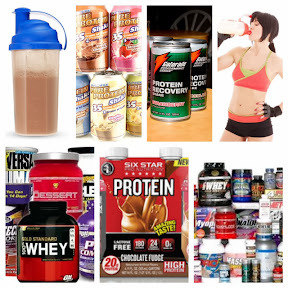 I have tried twice in the last 9 months to introduce protein shakes into my diet. Sometimes as a meal, some were snacks, even the post workout recovery protein shake. I have yet to see any result from these products except for weight gain. Have I missed something in all the years of learning about proper diet??? I thought the addition of protein was supposed to help repair muscle and be all great and healthy but for me even when replacing a meal or adding in addition to a meal I cannot seem to regulate my weight when I add these little gems to my diet. I also thought it was the quality of protein I was drinking…I have tried them all. The Whey protein from Wal-Mart, the Lean Shakes from GNC and even the Medical Grade Unjury protein drink so I don’t think that is the issue. By the way, all the different kinds taste exactly the same way: iron/metallic, gag inducing, chocolate milk. I am really just wondering, have any of you had the same result from Protein shakes. I know lots of men who drink them with no problem, my dad is one of them. Just curious…. I have learned my lesson and will not make the same mistake again. My body does not like Protein shakes and sees that as a reason to hold on to weight and after 2 separate tries in Phase 3 I won’t make this mistake again. The next time I decide to add shakes to my diet I am going to make sure they are MILKshakes, and chocolate only!